This is dated 07/2010 and is new in the box, from a collector. If you are not familiar with the Nemesis, there are a few design features that set this great knife apart from all other Microtech knives. The first thing you may notice is the safety on the front of the handle below the firing button. The safety is milled and features textured grooves and the triangle motif. It is marked "F" and "S" to show the fire and safety positions, respectively. 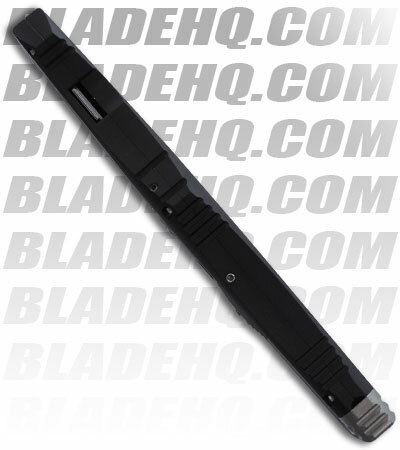 The Nemesis also differentiates itself from other OTF knives with a "liner-lock" type lock which secures the knife open. 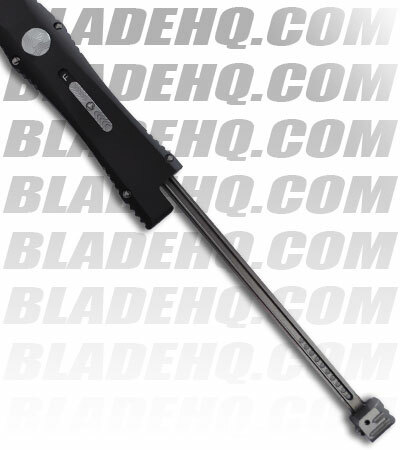 Instead of pushing the button to retract the knife, like the Halo, you push the liner lock over and pull down on the charging handle. (Please view the detailed picture to view the lock). 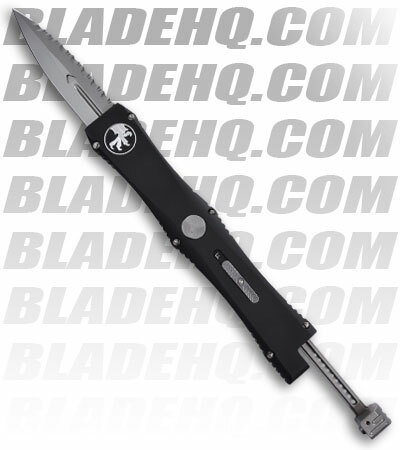 Microtech did this one correct! 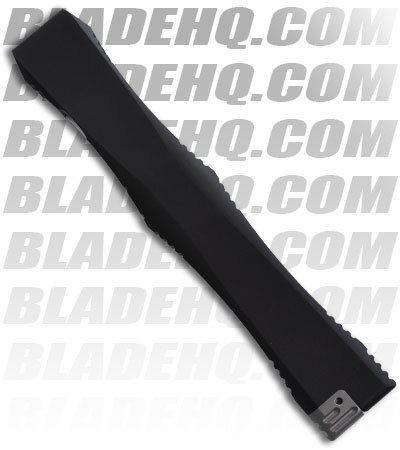 This Nemesis IV knife has a black anodized aluminum handle that features a milled contoured surface. Microtech has also customized the hardware with the triangle screws. 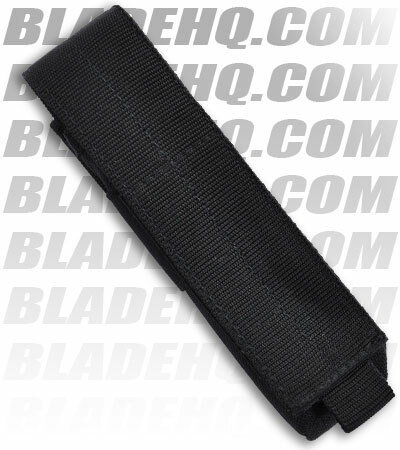 The dagger blade is stone wash finished S35-VN steel with plain edges.